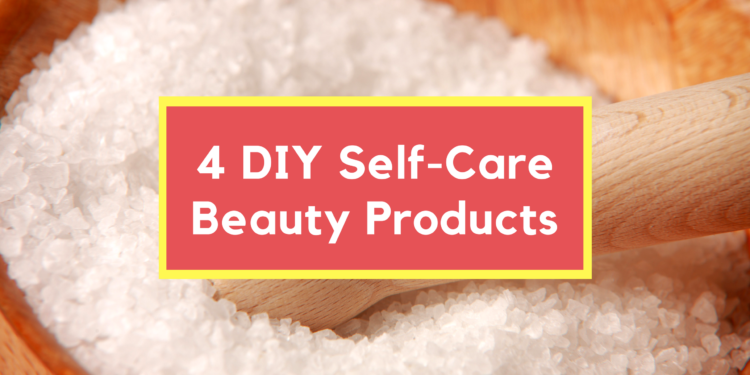 We hope you enjoy our 4 self-care beauty product created with you in mind. These are some of the perfect was to relax and take care of you. Create a scrub, mask or bath salts and give them as a gift for your moms, sisters, and friends…or whip one or two up to relax on a Saturday. All these beauty products are gluten free, grain free, dairy free, soy free, and peanut free. In a coffee grinder, process freeze-dried strawberries to powder. In a bowl, whisk powdered strawberries with sugar until well combined. Add vegetable oil and essential oil; mix with a spoon or your hands. If you like your scrub to be more moist, add 1 or 2 more tablespoons of glycerin or oil. Add 1 to 2 tablespoons of cacao powder to 1 cup coconut sugar and 1/2 cup oil of your choice (MCT, coconut oil, avocado oil). Mix cacao powder and honey in bowl. Spread it all over your clean face avoiding eye area. Leave on for 10 minutes. Wash off with a a washcloth and warm water. Follow with a moisturizer. Fill jar with epsom salt about half way and add a few drops of essential oil. Fill the rest of the jar and add a few more drops of essential oil.